VIPAccessEXCLUSIVE: Juanpa Zurita Interview With Alexisjoyvipaccess At The 2017 Nickelodeon Kids’ Choice Awards! He has one of the most successful YouTube channels out, and every single one of his videos showcases his exuberant persona, his positive personality, and his incredible energy – yup, we’re talking about the spectacular Juanpa Zurita. The outstanding Juanpa Zurita has and continues to make an everlasting mark in the entertainment and social media worlds. His terrific YouTube channel that features all of his exciting adventures – from his trip to the Philippines, to fun challenges, a behind the scenes look at working on his first movie and more, has well over a whopping 4 million subscribers and his excellent fan base continues to grow rapidly as the milliseconds go by. It doesn’t stop at just YouTube, where he shares his love for his Latin American culture, Juanpa Zurita is also a sensation on all social media platforms from Instagram, Twitter, and more with millions and millions of followers. It’s clear to see why Juanpa Zurita’s success continues to skyrocket. He has such a fun and vibrant attitude and is definitely someone you would love to go on adventures with, and well, we’re able to do just that (virtually) by watching all of his exceptional content. Juanpa Zurita has a countless amount of other successes including being signed to one of the most renowned talent agencies, CAA as well as taking on many acting projects including movies like Alexander IRL and Airplane Mode, a movie written by his good friend and fellow content creator, Logan Paul. Not to forget, Juanpa Zurita was also a familiar face as he walked the Dolce & Gabbana runway in Milan recently. Aside from being one magnificent social media phenomenon, Juanpa Zurita also takes a lot of time to give back to others and help make a difference in this world. It’s so great to see when people like Juanpa Zurita use their platform for good such as all of his philanthropic work with the Liter of Light organization which helps bring solar light to people who do not have electricity. Everything that Juanpa Zurita does is truly awe-inspiring and he has certainly touched the lives of many through all of his work – from YouTube videos, philanthropy, acting, and just being the phenomenal Juanpa Zurita we all have come to know and love. 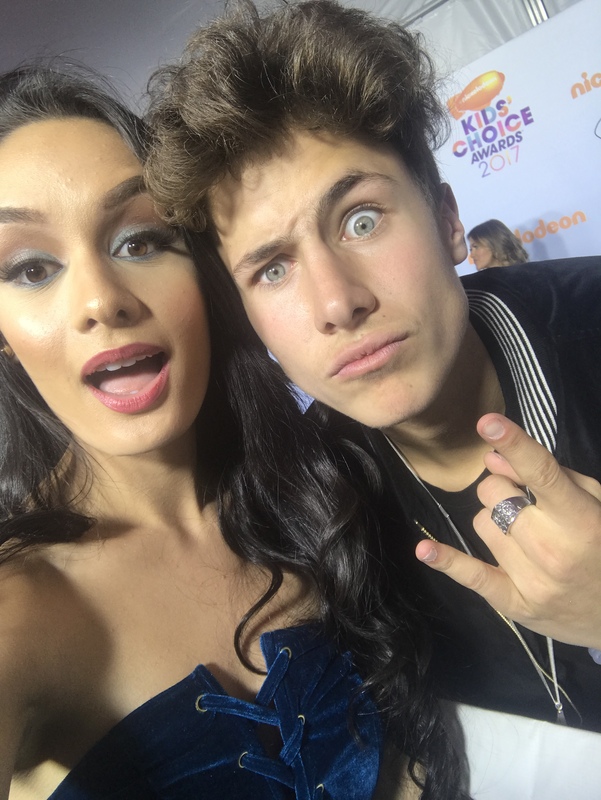 I, Alexisjoyvipaccess had the greatest honor of covering and attending the renowned and prestigious 2017 Nickelodeon Kids’ Choice Awards again and had a brilliant time interviewing the remarkable Juanpa Zurita at the event. Juanpa Zurita dished exclusively to Alexisjoyvipaccess all about his exciting, upcoming projects that he is working on that fans can look forward to, what his favorite video is that he has brought out to all of his fans, and so much more only in our VIPAccessEXCLUSIVE interview. Juanpa Zurita even sent out one excellent message to all of his fans – hear what he had to say in our VIPAccessEXCLUSIVE interview below. Thanks for the fun interview, Juanpa! Check out my VIPAccessEXCLUSIVE interview with the sensational Juanpa Zurita at the 2017 Nickelodeon Kids’ Choice Awards below! Follow Nickelodeon on Twitter and Instagram: @Nickelodeon and join in on the conversation by using #KCA! Previous VIPAccessEXCLUSIVE: Brent Rivera Interview With Alexisjoyvipaccess At The 2017 Nickelodeon Kids’ Choice Awards! Next VIPAccessEXCLUSIVE: Sensation Aaron Carpenter Interview With Alexisjoyvipaccess At The 2017 Nickelodeon Kids’ Choice Awards!